Don’t let the title dissuade you from reading this provocative book. The poets and thinkers represented here, many of them groundbreakers in American literature and thought, don’t know what it means either. That’s the point — to define these terms so as to answer a question that has not yet been posed in American poetry: what is radical Jewish poetry and how is it related to secular Jewish culture? In good talmudic fashion, editors Stephen Miller and Daniel Morris and their writers tease out the original question into a whole host of them, provoking lively discussion that often addresses some of the most pressing concerns of secular Jews today. What does it mean to claim a Jewish identity or to say that one is a Jewish poet? What is secular Judaism? And is it, in some circumstances, paradoxically religious? When is the intense scrutiny of texts a secular rather than a religious activity? The proffered answers are worth listening to because this particular group of poets and critics are masters, if not of the Good Name, then of the possibilities and pitfalls of language. They are its provocateurs, taxonomists, gematria-ists, and tour operators, roles that are quintessentially Jewish. This collection does nothing less than establish an important Jewish artistic tradition, and as such, inherently comments and expands upon the larger tradition. The essays elaborate radical Jewish poetry’s founding aesthetic, identify its current practitioners, and canonize its forebears — a remarkable group of American Jewish poets from the last century, many of whom were concerned with social justice: Louis Zukofsky, George Oppen, Muriel Rukeyser, and Charles Reznikoff. Being present at the groundbreaking of a tradition must be comparable to overhearing the secret conversations of twelfth-century Spanish kabbalists just before they risked publicly refuting dominant Jewish beliefs and practices. In this case, the impetus for going public is a recently published anthology of Jewish poetry, Telling and Remembering: A Century of American Jewish Poetry, whose editor Steve J. Rubin claims to publish the work of writers who “can be classified as American Jewish poets,” a classification one can only assume covers poetry arising from a core Jewish identity grounded in normative Jewish cultural experiences and religious practices. From the editors’ point of view, Rubin’s greatest sin is his failure to provide a theoretical basis for his selections — to ask and answer what Jewish poetry is — a shortfall the editors hope their book redresses. Am I Jewish? Is this Jewish? I am no more Jewish than when I set my Jewishness adrift from fundamentalist religious practice. I am no more Jewish than when I refuse imposed definitions of what Jewishness means. I am no more Jewish than when I attend to how such Jewishness lives itself out, plays tunes not yet played. Jewishness can, even must, in one of its multiple manifestations, be an aversion of identification — as a practice of dialogue and as an openness to the unfolding performance of the everyday. Call it the civic practice of Judaism. The paradox of this particular refusal of identity — the Jew who refuses a Jewish American or Jewish label — is that it has become an identifying Jewish trait. 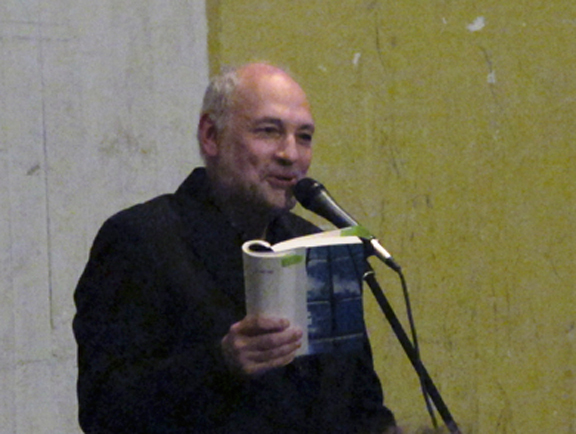 Damon lauds the poem as a “cacophony of fonts, formats and voices, illegible print superimposed on photographs, visual and verbal puns, prayers, send-ups and equivocations.” Such language is intentionally opaque and slippery so as to perform an absence, a longing for a missing wholeness and a missing source — both the literal Temple and the absence of the female from its ritual practices and the religious texts that codified them. On encountering the poem, most general readers will be stymied by its obtuseness, a disorienting meaning-making that Karasick wants us to believe is kabbalistic. It is not about “what is being said,” she writes in her essay on radical poetics called “Hijacking Language: Kabbalistic Trajectories,” “but how language is being manipulated; how ‘meaning’ is determined through an experience of letters.” These assertions do echo the twelfth-century kabbalists’ promise and practice. A mystical union with God could be had through “language-based ecstatic concentration practices,” as Norman Fischer writes in his essay “Light(silence)word.” While the promise of union attracted and still attracts followers to Kabbalah, the esoteric complexity of the practices befuddles and disappoints many of them. Similarly, radical Jewish poetry promises an experience that expresses the agitated, untethered relationship that many secular Jews experience in relation to normative Judaism. 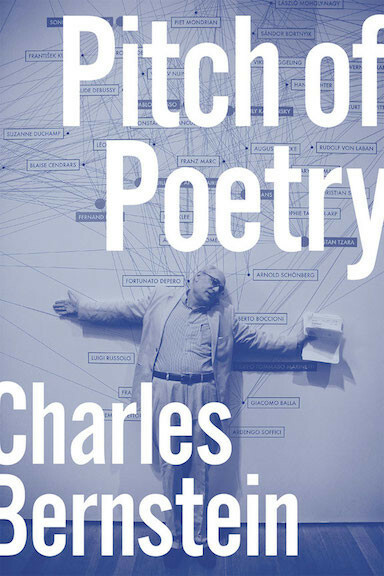 Yet to comprehend the poetry requires the equivalent of the audio tours at postmodern visual art exhibitions — a function that this book provides. The essays by Rachel DuPlessis, Norman Finkelstein, Hank Lazer, and Eric Selinger are especially adept at elucidating the aesthetic and cultural relevance and provocation of radical Jewish poetry. Norman Finkelstein turns what can be construed as negative — the refusal of an inherited identity — into a process of self-discovery. Dismantling the “first self,” the one that cultural and religious texts and institutions have prefabricated, leads to taking part in, and in this case expressing, the disintegration and renewal of a shifting yet rooted identity. Emily Warn’s latest book is Shadow Architect, an exploration of the 22 letters of the Hebrew alphabet. She most recently served as the founding editor of poetryfoundation.org, and now currently divides her time between Seattle and Twisp, Washington.